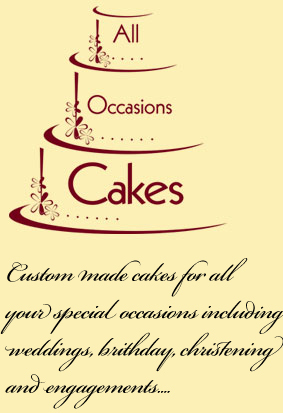 About Us | We specialise in Wedding Cakes, Birthday Cakes infact Cakes for all your special occasions throughout Lanarkshire and surrounding areas. 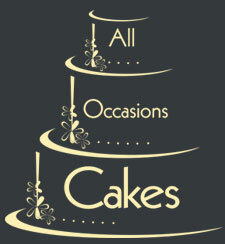 At All Occasions Cakes we believe that every cake should be perfect. We have over 10 years baking and cake decorating experience which we gained whilst working for a very well-known and reputable Uk bakery. We bake all our cakes fresh to order using premium ingredients that create the tasty home baked cake every time. There are so many occasions and celebrations in life that can be made all the more lovely with a fabulous cake, from birthdays and anniversaries to christenings and engagements. We can design and create whatever it is that you need, in a range of shapes, sizes and flavours. We offer a bespoke service specialising in designing and decorating unique celebration cakes for every occasion imaginable. All cakes are baked fresh and are made from the best ingredients ensuring they taste as good as they look! We offer a delivery service, and to ensure your special day is as stress free as possible we provide a free set up service for wedding cakes in the Lanarkshire area. Don’t see the cake you are looking for? Don’t panic; simply let us know what sort of cake you’ve been dreaming of and we’ll take care of everything else for you.